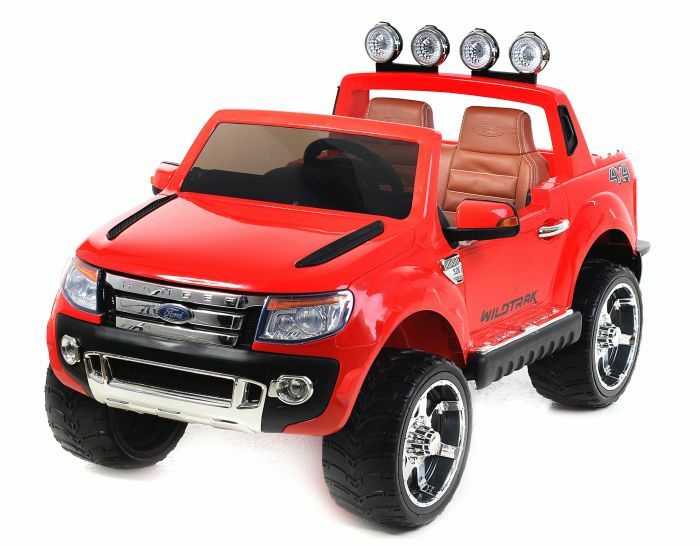 Modern electric car with remote control for parents. A modern look that every childwill love at a glance. When the accelerator pedal has been depressed, the car starts, with the electronically driven stroke so that it is smooth. As a result, the pedal does not cause unpleasant jerks when driving. INSPECTION BRAKE ON THE VOLTAGE CONTROL - switches off all driving functions of the car. Re-depressing the brake brake again activates the driving functions. This innovation provides maximum parental control over the vehicle and safe use. Ford Ranger Wildtrak requires no maintenance other than charging and washing. Uvedená cena zodpovedá základnej konfigurácii modelu Ford Ranger Wildtrak. Je možná zmena farby aj konfigurácie, konečná cena modelu bude na základe toho prekalkulovaná. Pre viac informácii nás, prosíme, kontaktujte.